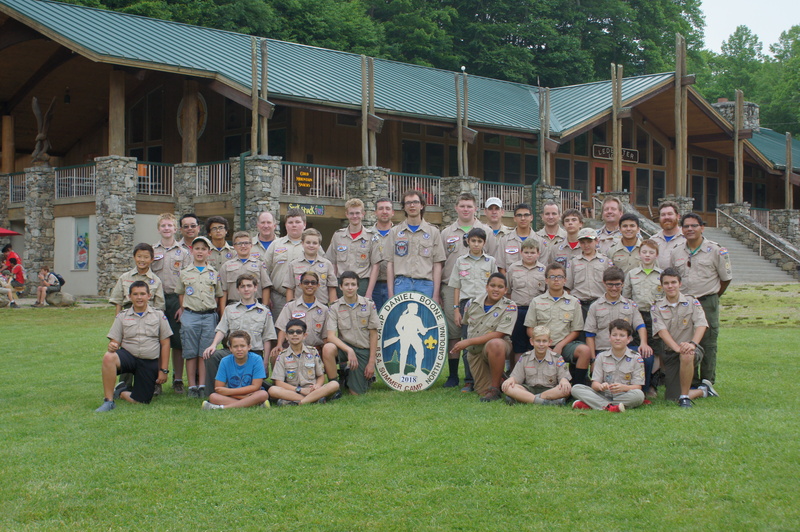 This area is dedicated to all Scouts who have earned their Eagle Scout rank while being members of Troop 464. Congratulations to all; you are an inspiration to those who follow in your footsteps. The fact that a boy is an Eagle Scout has always carried with it a special significance, not only in Scouting but also as he enters higher education, business or industry, and community service. The award is a performance based achievement whose standards have been well maintained over the years. Not every boy who joins a Boy Scout troop earns the Eagle Scout rank; only about 4 percent of all Boy Scouts do so. This represents more than 1 million Boy Scouts who have earned the rank since 1911. Nevertheless, the goals of Scouting (citizenship training, character development, and personal fitness) remain important for all Scouts, whether or not they attain the Eagle Scout rank. To earn the Eagle Scout rank, the highest advancement rank in Scouting, a Boy Scout must fulfill requirements in the areas of leadership, service, and outdoor skills. Although many options are available to demonstrate proficiency in these areas, a number of specific skills are required to advance through the ranks Scout, Tenderfoot, Second Class, First Class, Star, Life, and Eagle. To advance, a Boy Scout must pass specific tests that are organized by requirements and merit badges. If you know of anyone who is missing from this list, please contact SM David Egan with the name of the Eagle Scout and the year he attained his Eagle rank. All submissions will be checked with official records for accuracy before they are posted to this site.